You can become a samurai on weekday mornings in Shinjuku, Tokyo. Our samurai experience program entails dressing up in a samurai costume and learning samurai sword fighting (Tate) first-hand. 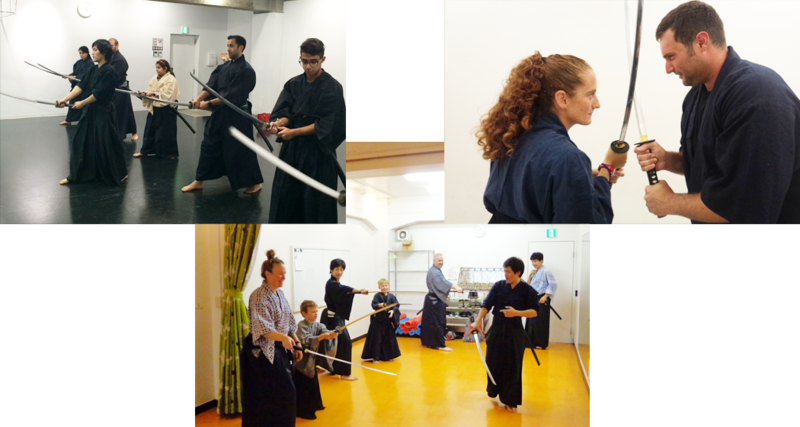 Anybody can join the activity regardless of age and gender, as long as you have the samurai spirit within you. Enjoy the authentic samurai experience with us! All of the instructors from our samurai experience program are professional samurai performers who perform in various shows and events. Monday -Friday (Saturday and Sunday are negotiable) 70 minutes class 1) 09:30 A.M.-10:40 A.M. (Reception time 09:10 A.M.-09:30 A.M.) 2) 11:00 A.M.-12:10 P.M. (Reception time 10:40 A.M.-11:00 A.M.) Choose class from above. Putting on samurai costume is included in the class time. Please come to the studio during the reception time. Adult / 7,000 JPY Child / 5,000 JPY （tax not included） We only accept cash. Please pay at the studio. How did you find out about our Samurai experience program? If you have any questions or requests,please let us know.